Although most people think that all chiropractors use the same methods to treat their patients, in reality there are a wide variety of chiropractic techniques available. At Precision Chiropractic we specialize in a particular type of upper cervical treatment called Blair Upper Cervical Care. 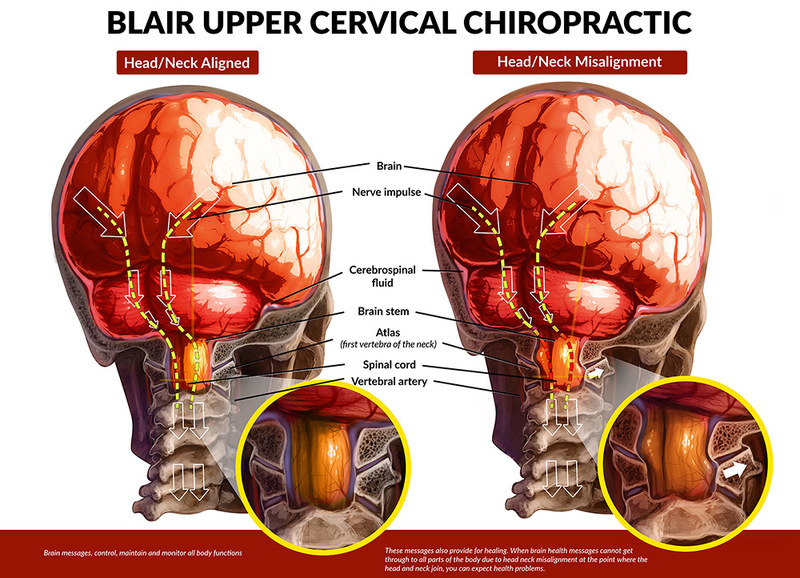 A Blair Upper Cervical Care adjustment, or “correction,” is extremely gentle, very precise and completely painless. This is a low impact correction, with absolutely no cracking, twisting or popping of the neck. Instead, a few pounds of controlled force – only about 5/16s of an inch – is delivered by hand to a specific location on your upper spine, in a precise manner. In order to have an adjustment hold in place it must be engineered specifically based on the patient’s unique anatomy and circumstances. This is achieved by completing a very exact analysis based on a detailed physical exam and review of health history, thermographic (heat) studies and three-dimensional x-ray analysis. This analysis yields a “blueprint” showing exactly how the correction of the spine is to be given. On follow-up examinations the spine is checked to determine if the adjustment is holding in place, and how the patient is responding or healing. Long-Lasting Adjustments – Full spine chiropractors adjust your spine on every treatment. The adjustments given with Blair Upper Cervical Care can hold for weeks, months or even years. Less Frequent Visits – We typically only see patients about 8 times in the first 6 weeks, and then gradually progress to just once every 4 to 6 weeks. Painless Treatments – Patients who are afraid of the twisting and cracking that is commonly associated with chiropractic care are relieved to learn that Blair Upper Cervical does not use those techniques.